I absolutely love Petunia Mae Witherbottom's new conversion of BCP's Dreaming Dish Rack @ SimPearls! However, I needed it to be recolorable, so I made the purple version into the recolorable mesh, and the other two into recolor files. With her permission, I would like to share this version with you. 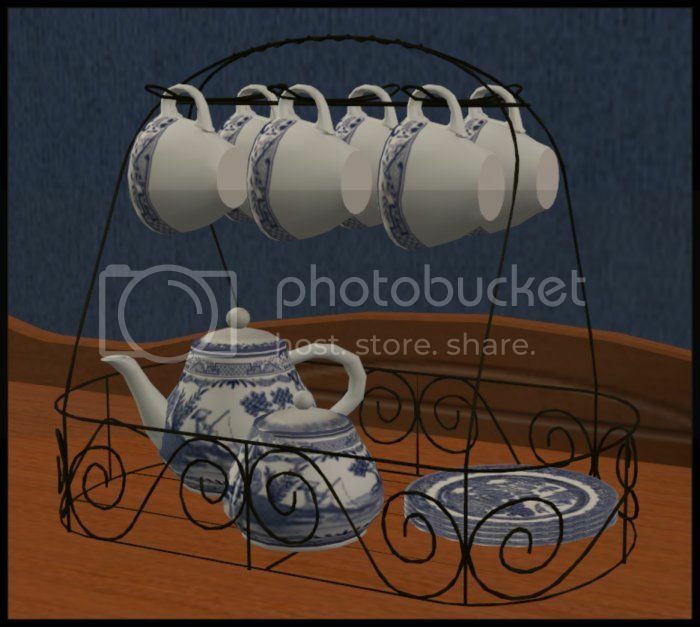 I've included my recolor of my favorite Blue Willow pattern.